Cloud apps offer tremendous business advantages, but preventing users from copying files from business to personal cloud repositories is a top concern for IT. Admins must also prevent users from accessing cloud data through unapproved third-party apps or on unmanaged or compromised devices, such as a jailbroken iPhone. 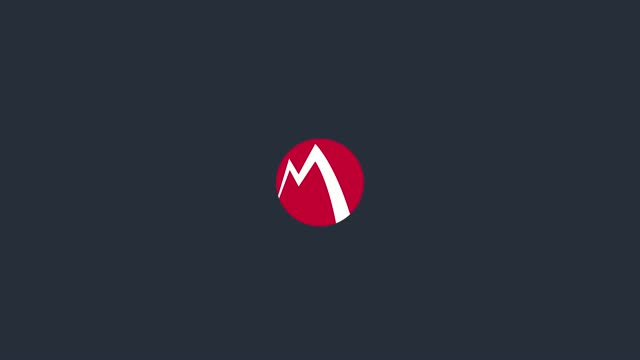 Watch this demonstration of MobileIron Access, and learn how IT can finally solve these persistent cloud security challenges. - Control access and secure business data both on-premises and in the cloud. - Gain visibility and in-depth reporting on cloud service usage. - Easily track users, devices and apps being used to connect to enterprise cloud services. - View policy violation and enforcement events. - Easily connect to and secure enterprise cloud services including Box, Salesforce, Google Apps and Office 365. MobileIron Access is a security capability that is fully integrated with and extends the capabilities of the MobileIron enterprise mobility management (EMM) platform. Admins can define granular cloud access control policies based on application, IP address, identity, and device posture. As a result, IT can bridge the gap between mobile and cloud security and get better insight into how users are accessing enterprise cloud services. As of 2016, California requires all companies, no matter where they are based, to implement a minimum set of mobile security controls if they process sensitive personal information about California residents. Spend 30 minutes with us on how to comply with these new requirements. Review the California Data Breach Report for the new requirements. MobileIron Access secures enterprise cloud apps on mobile devices. Reduce information security risks by allowing only trusted users, on trusted devices, using trusted apps to access business data. By establishing a data boundary for mobile cloud apps, IT can prevent users from accessing enterprise cloud services on unsecured devices or through unauthorized apps or browsers. Watch this overview to learn more. For many mobile IT admins, Android has been a challenge from a management perspective due to the nature of its fragmentation, open-source capabilities, and broad range of devices. Google’s Android for Work promises to simplify the experience for both users and administrators for various common deployment scenarios. Enterprise IT is facing an ever-increasing level of management complexity. From legacy PC clients to mobile devices running multiple operating systems, admins must juggle more security and management tasks than ever before. Until now, PC management has involved a variety of tools to try to meet all of these requirements. But now, Windows 10, combined with EMM, offers a more unified approach to managing PCs and mobile devices. Watch this webinar to learn how Windows 10 and EMM is changing the game for PC security and management going forward. With MobileIron Access, organizations can now secure cloud services, such as Box and Salesforce, on mobile devices. Organizations can now be assured that users only connect to enterprise cloud services via trusted apps on managed devices. MobileIron Access addresses a key security gap - employees accessing enterprise cloud services on unmanaged devices, via unmanaged apps and storing corporate data outside of IT control. Recent legal debates about the encryption of mobile devices have elevated the topic of enterprise security and its implications on end-user privacy. For example, in the aftermath of the San Bernardino tragedy, we learned that enterprise-managed mobile devices can be remotely unlocked by the IT administrator. To provide more insight on this complex topic, MobileIron is hosting a panel discussion with mobile security and privacy experts to share what CIOs need to know about mobile security and end-user privacy. Panelists will discuss the implications of the San Bernardino case and how this case helps illustrate best practices for balancing the need for enterprise security with respect for employee privacy. Mobility is a catalyst for disruption in the architecture, operations, and governance of today’s enterprise IT. 2015 gave us a major evolution in operating system architecture (Android for Work, Windows 10), the emergence of wearables (Apple Watch), and an expanded threat landscape (StageFright, XcodeGhost, YiSpecter). This coming year will require a rethink of traditional security approaches as mobile and desktop merge and application modernization becomes a priority. This session provides a practical walk-through of the issues and potential initiatives CIOs must address as they plan for 2016. Learn about MobileIron’s latest product features introduced in the fall 2015 timeframe that help IT professionals enable mobile devices initiatives in their organizations, including giving employees secure access to their corporate productivity suite, content and web applications. The MobileIron mobile security platform also allows organizations to implement a secure framework to deliver applications that can transform their business workflows. Watch this short webinar to get an overview of Windows 10, which converges traditional Windows operating systems to allow for security and management through a single, unified platform across mobile, desktop, and embedded products. This unified platform also allows programmers to develop and manage universal apps that can be written once and run on any form factor and screen size. As a result, the application experience will now be the same on a Windows PC, phone, or tablet, which is a huge evolutionary step for Windows in the enterprise. Office 365 is Microsoft’s cloud-based productivity suite. Office 365 is central to Microsoft’s strategy as the company evolves into a mobile-first, cloud-first software and solutions provider. Office 365 is also central to the productivity strategy of many MobileIron customers since their employees will increasingly use Office on mobile devices instead of traditional PCs. Therefore the ability to secure and deploy Office 365 on mobile devices using MobileIron is a common requirement. This webinar will outline the MobileIron security framework for mobile apps and how it can be used to secure and deploy Office 365 on mobile devices. The release of iOS 9 offers much more than just new features for consumers and enterprise users. It greatly simplifies the complex challenges that IT organizations face when securely deploying iOS mobile devices and apps across the enterprise. MobileIron's mission is to enable companies of all sizes to become Mobile First organizations, embracing mobility as their primary IT platform to transform their businesses and increase their competitiveness. Secure Enterprise Information as it Moves to Mobile and the Cloud. Enterprise information is everywhere: in the datacenter, in the cloud, in mobile apps, and on mobile devices. MobileIron secures enterprise information wherever it lives. The MobileIron enterprise mobility management (EMM) platform was built to secure and manage apps and content across modern operating systems at enterprise scale. It incorporates identity, context, and privacy enforcement to set the appropriate level of access to enterprise data and services. Apply consistent security policy and configuration across your organization from a single integrated platform.